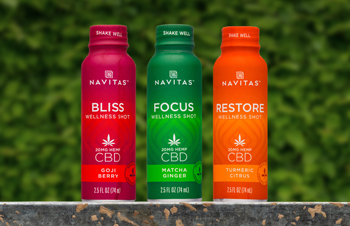 Announced at Expo West 2019, Navitas Organics’ first ready-to-drink offering is a four flavor line of CBD-enhanced functional shots. Available in Focus, Calm, Restore, and Bliss varieties, the products use added superfoods for both their flavor and additional functionality. 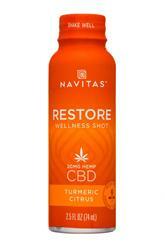 Restore - Featuring turmeric, orange juice, black pepper, and added vitamin C, this is a mild version of a turmeric shot. The turmeric is derived from powder (rather than juice) and you can clearly taste this. Bliss - This product is flavored with pear, lemon, and goji juices and it has the most fruit forward flavor of the bunch. This was our winner in terms of flavor. Focus - This variety includes matcha, ginger, apple cider vinegar, and coffee fruit extract. The matcha flavor is quite mild and we can taste just a bit too much of the pear juice. Adding more matcha would definitely be nice. In the end, these products are good, but all feel like they could be improved with a bit of refinement. 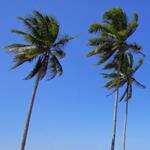 We’d love to see the hero ingredients really shine in the formulations, but they aren’t quite there yet. Let’s move on to the product’s positioning as a wellness shot. Considering all of the buzz presently surrounding CBD, the ingredient is certainly going to be the focal point of these products. 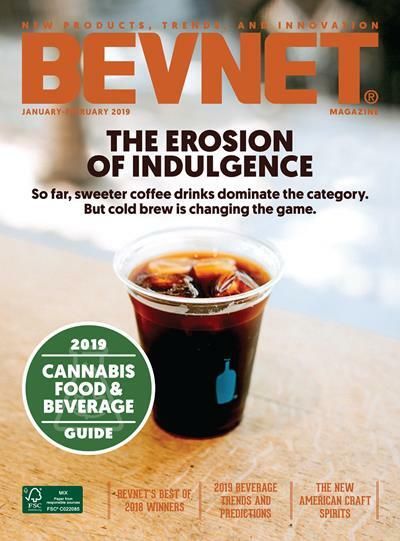 Furthermore, having 20 mg of CBD per shot is more directly quantified and, at least in our opinion, more tangible than the wellness benefits in these products. Our point being that while the added superfoods are good, we’re not totally convinced that branding each with a specific function (as opposed to simply using “superfoods” as the callout) makes sense in tandem with the CBD. When it comes to the packaging, Navitas has clearly tried to create something that is unique and stands out. 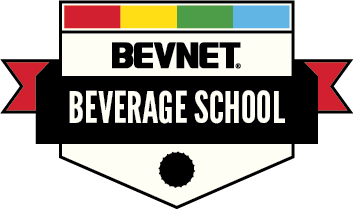 This starts with their choice of a 2.5 oz aluminum bottle, which is tall and narrow in comparison with a standard 2.5 oz plastic shot bottle. From there, they’ve fully wrapped the bottles including over the cap. We think it’s a pretty effective approach and they’ve also done a nice job creating labels that are easy to read (something that’s often a problem in the shot category). Overall, Navitas Organics’ Superfood Wellness Shots has a good premise in terms of combining superfoods and CBD into a convenient shot format. However, we think there’s a bit of work left to do for these products to really shine.